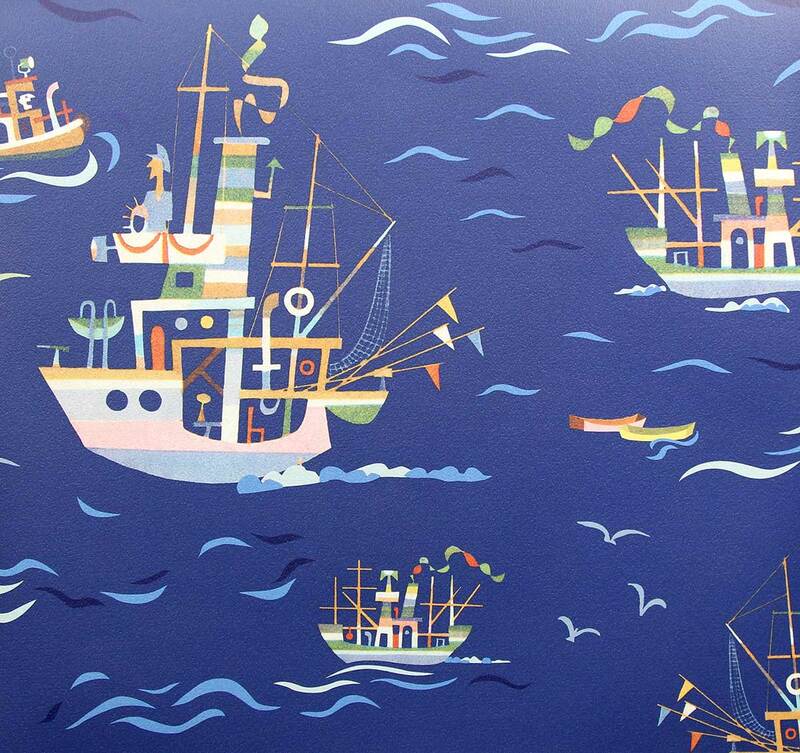 Jim Flora (1914-1998) was a mid-century artist known for his album covers and some fabulous children’s books (The Day the Cow Sneezed, for example), and his illustrations are truly wonderful. 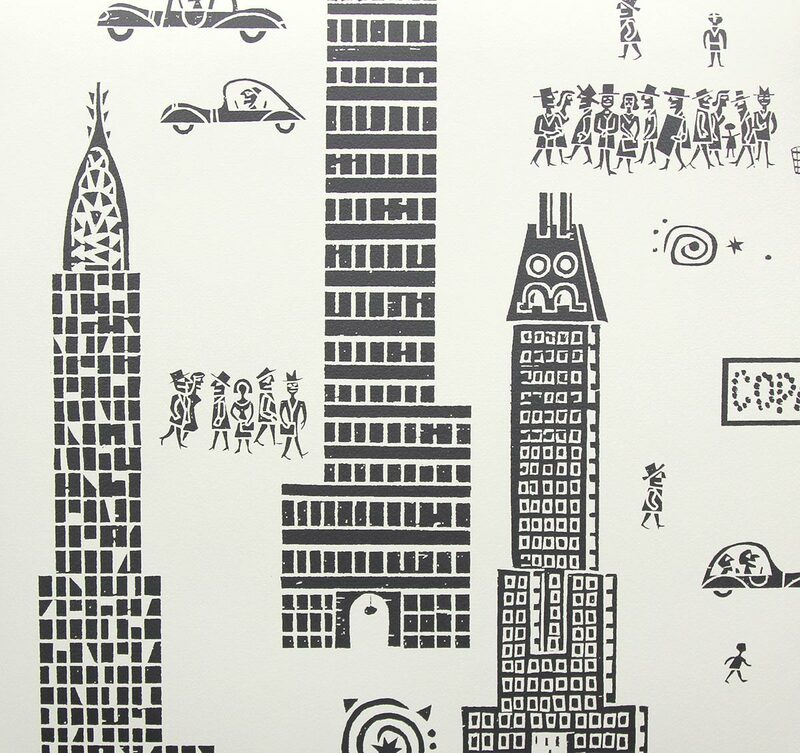 Recently, a series of wallpaper was brought out in cooperation with Flora’s estate, all using the original art and illustrations from his archival music images, paintings and abstract designs. I just love these wallpapers! 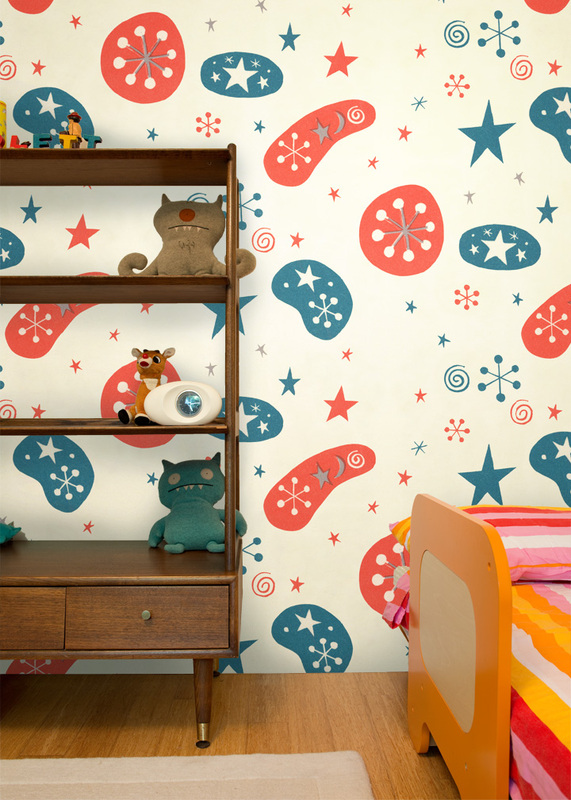 Jim Flora’s illustrations may date from around 70 years ago, but all of these wallpapers feel so incredibly fresh and modern… Also, they are sweet and playful, but wouldn’t be misplaced in rooms for bigger children (adults even). 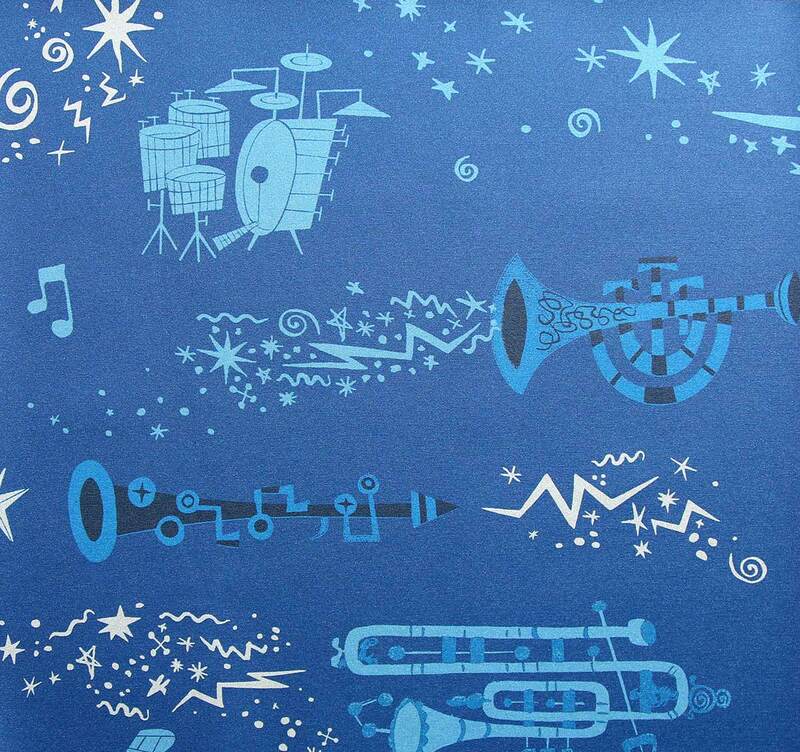 I’m contemplating getting the instruments wallpaper above for Pim’s room. I’m sure he would love that! Actually the Flora figures are only about 60 years old, not 70. Most are from the 1950s. But Jim did some amazing stuff during the 1940s as well. More of his work can be seen at JimFlora.com. 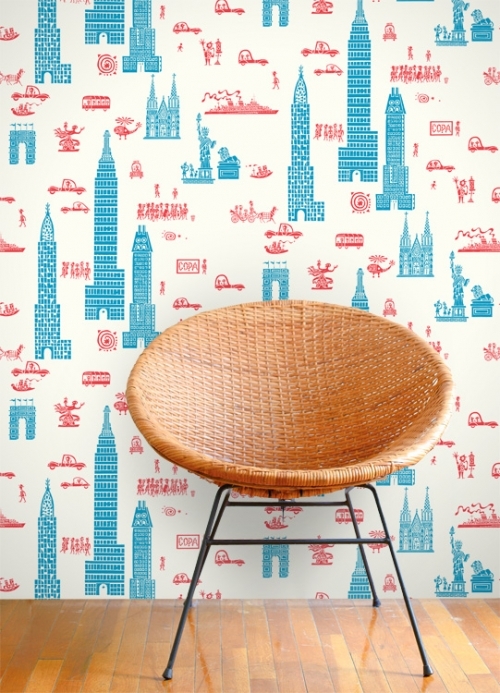 Thanks for posting about the Astek wall coverings, Esther. I think I meant to say 60 years, because obviously, the difference between 1950 and 2014 is 60 not 70!! 🙂 Love the wallpapers! Thank you Esther for your lovely feature! We are very proud of the collection! Thank you misha lulu! We love your clothing, prints and dolls! And Cheers to Irwin–the king of the Flora-philes!